Craig Coates is a man of the cloth in more ways than one. He is a nondenominational bishop, which could be construed as being multidenominational. He also designs haute couture—a particular aspect of the fashion trade that concerns itself with the unification of multiple strands of cloth to create beautiful expressions. Coates is also the visionary behind the Annapolis men’s hair salon My Brother’s Keeper. His hitherto incisive observation concerning said establishment was that “men don’t talk to each other enough, but one of the few places they actually do converse is the barber’s shop.” He understands that dialogue is an essential element for building a strong fabric of community relations. His idea was to create a space or medium where men could discuss neighborhood issues, thus bringing about a shared sense of local social unity. Couture means sewing or joining together. Today, Coates is weaving his experience and expertise to promote social discussions that bind themselves to a new and greater cultural tapestry, namely the advancement and civilization of the role of women in the clergy. He designs attire for women of the cloth, and through his fashion creations he is braiding a texture that speaks to the imperative of female equality and freedom of expression within the religious world. Coming from a churchgoing family, Coates’ initial interest in fashion was inspired by his grandmother, whose house he recalls as “always overflowing with pieces of fabric and thread.” At an early age, he learned how to cut cloth, and was designing garments by twelfth grade. It wasn’t until a particular event, in the 1980s at his high school, that he began to intertwine his religiousness with his ability to design clothes. Ebony magazine’s Fashion Fair, which raises money for African American charities, came to his school. The show and its benevolent intent so transfixed him that he knew, from then on, that he was going to become a fashion designer. 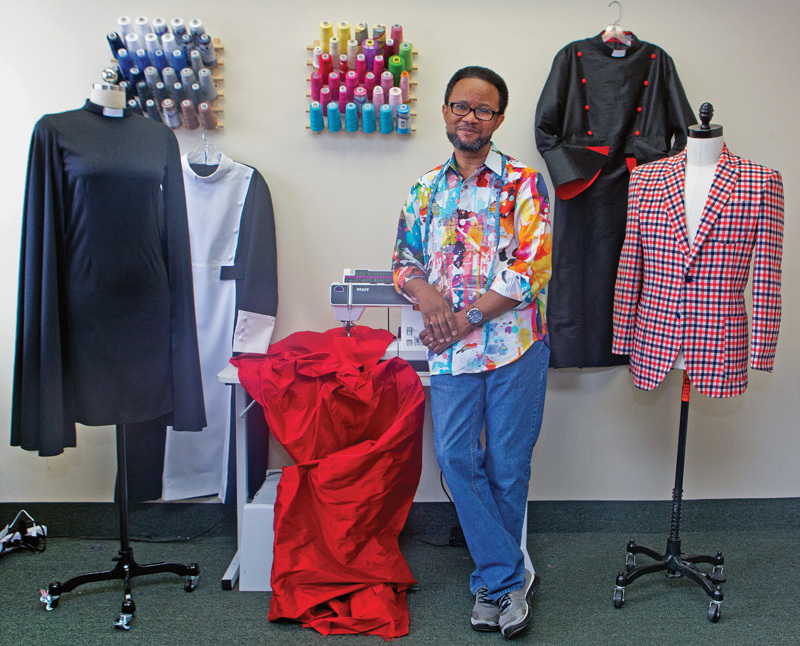 Another occurrence that helped shape his vocation was an after-school fashion course. When the woman who led the course resigned her position, Coates took over the job, at age 16, and went on to win business awards while continuing with his studies. Talk about entrepreneurial spirit. 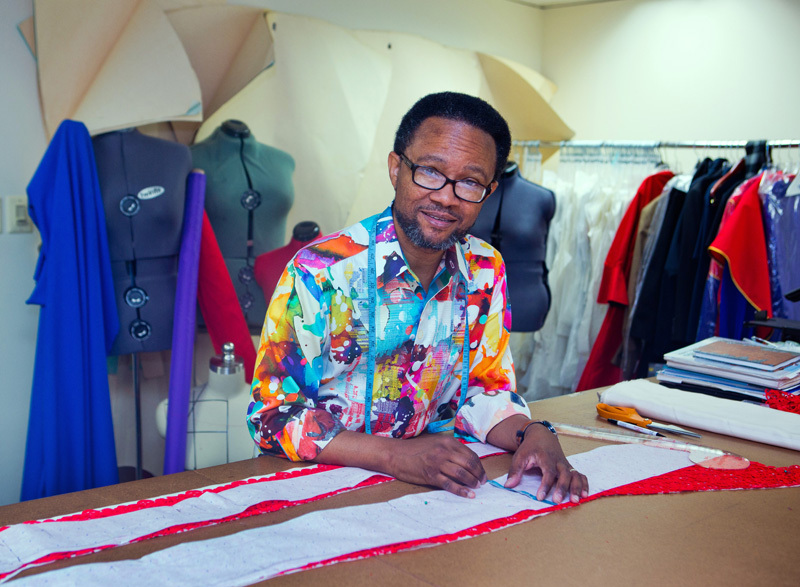 For any young, aspiring fashion designer, New York City is the place to be. But Coates resisted those bright lights, choosing instead to pursue his true ambition to answer the voice of the needy in Maryland. He worked for fashion companies such as Stephani and JB House of Fashion, which served to consolidate his design chops. 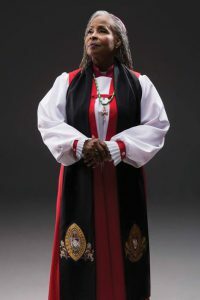 In the late 1980s, Coates was ordained as a minister and continued designing clothes for men and women, particularly choir robes. As his religious duties increased, however, his focus on couture began to ebb. While he had always designed for men and women, his decision to concentrate on women’s wear was due to the rigors of demand and affordability. Creating men’s fashion is much more expensive and can be somewhat limiting in terms of artistic expression. Error: Error validating access token: Session has expired on Saturday, 09-Mar-19 15:57:50 PST. The current time is Friday, 19-Apr-19 11:12:42 PDT.